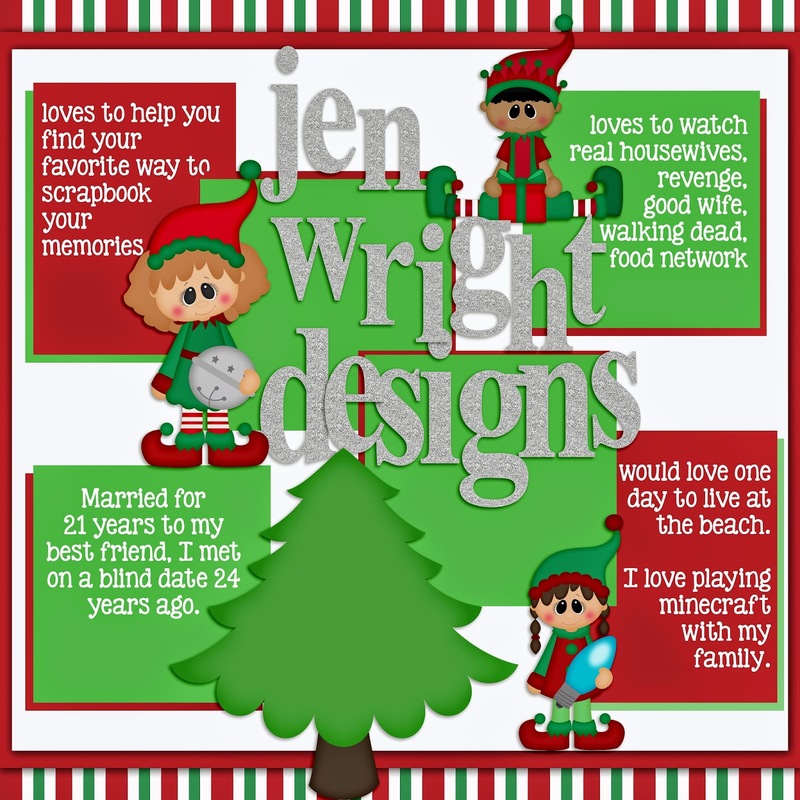 MyMemories Blog: Meet today's Daily Designer....Jen Wright Designs! Meet today's Daily Designer....Jen Wright Designs! Hi, I'm Jen and I live in northeast Georgia. I live with my hubby and daughter (20yr) and son (7yr old) along with our 3 cats (furry children) Coco, Jellybean & Muffin. I love everything about design and scrapbooking. My goal in being a designer is to help teach you how to find your favorite way to scrapbook your memories and tell your stories. I love creating things, scrapbooking and making tutorials that are quick and easy. I use Photoshop and My Memories Software. My favorite way to relax is playing a games or a game of minecraft with my family together or watch our favorite tv shows together for a brain break from designing all day. ON my blog you can find where every week I have a new template for free to help get you scrapbooking and teach you step-by-step how you can do it, quicker and easier. My goal is to have a minimum of 52 layouts a year (1 a week) and this year I have met that goal and I'm so excited! I love that with my memories software, I can put these layouts in a photobook, or print them out at any size and put them in as many albums as I like. I even can create one for each of my children for them to have one day for their very own. Don't forget you can grab this software for $10 off using my special code and we have a recent update to MMSv6!